Babak Hoghooghi was one of four founding members of IABA and currently sits on the Board of Advisors. Babak Hoghooghi is the Lead Counsel for Energy & Project Finance and Senior Corporate Counsel at Clearspire Law Co. in Washington, DC. Mr. Hoghooghi’s legal practice encompasses domestic and international commercial transactions and business matters, with a particular focus on energy and other infrastructure project developments, financings, and acquisitions, as well as engineering projects and construction law issues. Mr. Hoghooghi’s practice also includes cross-border investment and trade, including matters relating to US economic sanctions laws. Mr. Hoghooghi practiced at the law firm of Skadden, Arps, Slate, Meagher & Flom LLP from 1994 to 2006, primarily focused on representing sponsors, project developers and commercial banks in connection with the development, financing and acquisition of international and domestic power projects. Prior to joining Clearspire in late 2012, Mr. Hoghooghi was the Managing Partner of the law firm of BHFA Law Group for two years. Mr. Hoghooghi was a founding board member of the Public Affairs Alliance of Iranian Americans (PAAIA), and served as the organization’s first Executive Director from 2007 to January 2010. 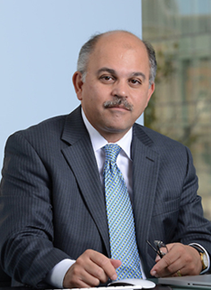 Mr. Hoghooghi was also a founder of The Iranian American Bar Association in 2001, served as the organization’s Board Member and first President until June 2005, and currently sits on its Board of Advisors. Finally, he was one of the founding trustees of the Iranian American Political Action Committee in 2003, and continues to serve on the organization’s Board of Directors. Mr. Hoghooghi earned his law degree in 1994 at the Georgetown University Law Center. He was admitted to the Bar in the State of New York in 1995 and the District of Columbia in 1996. Before entering law school, he received a Master of Science degree in Structural Engineering from the University of California at Berkeley in 1987 and worked as a licensed professional engineer (PE) at the Ralph M. Parsons Company in Pasadena, California for four years. Mr. Hoghooghi earned his Bachelor of Science degree in Mechanical Engineering from the University of California at Santa Barbara in 1984. Mr. Hoghooghi was born and raised in Iran, and moved to the United States in 1979 to continue his studies. Mani Ahmadi was one of two inaugural IABA scholarship winners. Mani Ahmadi is a graduate of Loyola Law School and currently the Vice President of Legal and Business Affairs at CA Media, a Hong Kong based company building, managing and operating media, entertainment, and technology businesses throughout the Asia Pacific region. 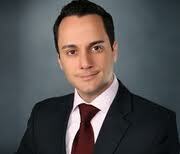 Prior to joining CA Media, Mr. Ahmadi was a senior counsel at O’Melveny & Myers LLP in the United States and Singapore. Alén Takhsh is President of Justice Bid (www.justicebid.com) and Owner of Takhsh Law (www.takhshlaw.com). Alén’s practice is focused on business litigation and complex immigration matters. He is the Co-Chair of NexGen at the Public Affairs Alliance of Iranian Americans and also serves as an advisor to the Assyrian Chaldean Syriac Student Movement in Chicago. Alén received his Bachelor of Arts in Economics from The University of Chicago and his Juris Doctor from The John Marshall Law School in 2002 and 2007, respectively. In law school, Alén received the Third Best Oralist award at the Jessup International Law Moot Court Competition and an Honorable Mention for the Respondent’s Memorandum at the Vis International Commercial Arbitration Competition in Vienna, Austria. Additionally, he served as the Vice President of the Middle Eastern Law Student Association, was the Candidacy Editor for the Journal of Computer and Information Law, and was a Federal Judicial Extern for the Honorable Samuel Der-Yeghiayan of the Northern District of Illinois. Alén was born and lived in Tehran, Iran for nine years, spent three years in Germany and has resided in the Chicagoland area since 1992. He is fluent in Farsi, Assyrian, German and English.